BVCa shareholders are the Exchange members themselves. Each member is entitled to hold only one (1) share. The Bolsa de Valores de Caracas (BVC) was founded on January 21, 1947, and it held its first trading session on April 21, the same year, after completing a prior 73-year period of literally trading in the street, at the corner of Bolsa and San Francisco, on Universidad Avenue, at the Caracas historic inner city area. The institution was born under the name of Bolsa de Comercio de Caracas, including the word comercio (commerce/trade) because, even though it was a stock rather than a commodity exchange, securities brokerage centers could only be created pursuant to the Commercial Code. Later on, after the enactment of the first Venezuelan Capital Markets Law, the Exchange changed its name to the present denomination, becoming a corporation in which each shareholder is entitled to one share and only member brokers are allowed to execute transactions on behalf of their clients. 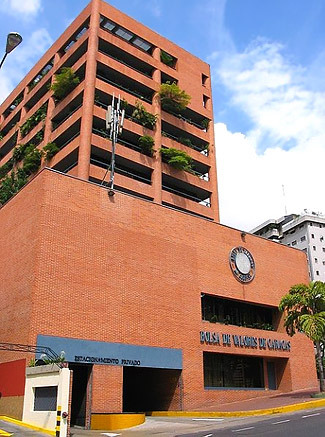 The Extraordinary Shareholders’ Meeting held on May 6, 1976, resolved that the institution should be renamed as Bolsa de Valores de Caracas C.A., and a new corporate structure consisting of 43 shareholders or stockbrokers became operational; a number which, in 1995, rose to 63 members. Bolsa de Valores de Caracas (BVC) has operated on a wholly electronic basis since February 1992, after putting in place a state-of-the-art electronic trading system developed by the Vancouver Stock Exchange and TCAM, known as SATB (Spanish acronym for “Automated Stock Exchange Transaction System”). In 1995, BVC became the first Venezuelan financial institution to provide information disseminated from its own website. In 1996, the Central Securities Depositories Law was enacted, and BVC established Caja Venezolana de Valores, which started business operations within such legal framework. A year later, the Automated Financial and Market Information System (SAIBF) and the Automated Online Trading System (SAREL) became operational through the Internet, thus being an integral part of the BVC website. The new Capital Market Law entered into force on October 22, 1998, and it granted autonomous functions to the National Securities Commission. In May 2000, the new Integrated Electronic Market System became operational for fixed-income securities trading; whereas integrated electronic equity trading started on July 2, the same year. The equity market has recorded significant changes. Progress has been made in prompt trade settlement, by shortening settlement terms from 5 to 2 days; while efforts are now being focused on streamlining payment systems, and improving electronic trading platforms and central securities depositories. Electronic trading has been implemented consistently with an advanced web-based Exchange Portal, a specific link has been created between the Exchange trade execution system and the Central Bank of Venezuela Electronic Securities Custody System (SICET). Likewise, great strides have been made in other areas, as shown by the launch of a Corporate Social Responsibility (CSR) program and the operation of the Venezuelan Capital Market Institute. At present, with direct online connectivity to our institution, investors worldwide can obtain information on market quotes and trades through data vendor computer terminals and BVC web-based data services, or by directly making inquiries to our member brokerage firms. This Stock Exchange, which is unique in Venezuela, has recently witnessed a significant development as a financial intermediation center using advanced technology in the design and operation of its IT trading systems. Every securities transaction executed on Bolsa de Valores de Caracas is cleared and settled through the Venezuelan clearing corporation CVV Caja Venezolana de Valores C.A. Funds settlement is performed by the Caracas Stock Exchange itself, under a delivery versus payment (DvP) scheme. Custody is performed by “Caja Venezolana de Valores”. A Central Counterparty mechanism is not available. © 1997-2017 FIAB - Federación Iberoamericana de Bolsas. All rights reserved. Edited by FIAB Secretariat. The information referred to member exchanges and markets compiled in this Handbook has been provided to FIAB by these entities and is updated up to April 18, 2017. Every effort has been made to ensure that the information in this edition is accurate at the time of its publication. FIAB Secretariat cannot accept responsibility for errors or omissions.